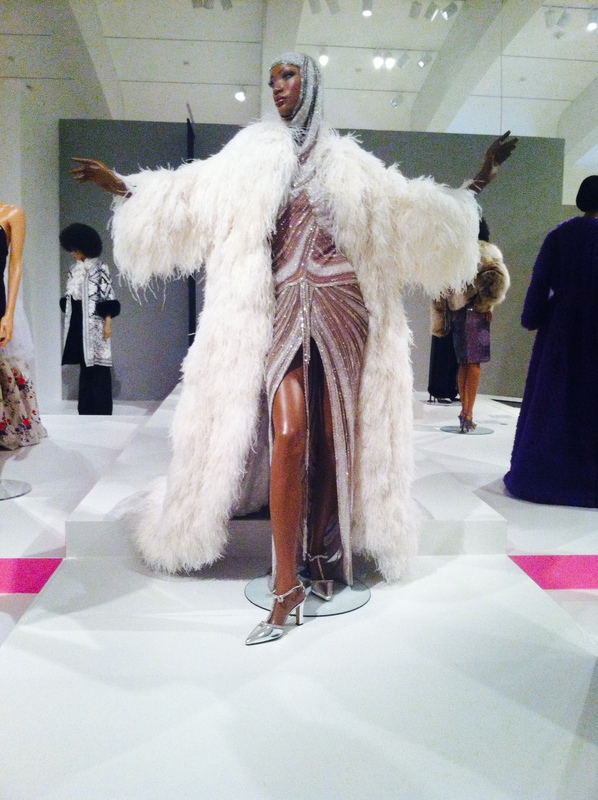 I joined the Museum team as a marketing and communication intern near the end of planning for the Inspiring Beauty: 50 Years of Ebony Fashion Fair exhibition now on view in the Museum. 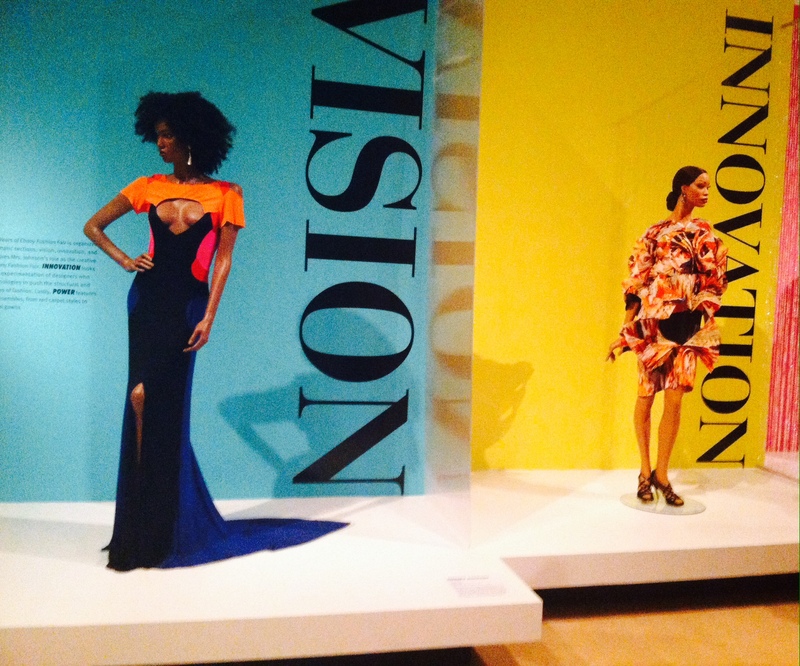 This exhibit contains nearly 100 outfits and accessories from the Ebony Fashion Fair, an annual fashion event that featured mainly African American models wearing creations from top haute couture international fashion designers. My first experience with the show was in collaboration with Camille Morgan, the curator for the exhibition, where I helped her compile some of the pictures and magazine clippings that would be part of the digital aspect of the exhibition. While I was working on scanning and cropping these pictures, naturally my attention was drawn to the models—not only because of the clothes they were wearing, but because of their expressions and demeanor. The women in these pictures were clearly enjoying themselves, exuding a grace and pride distinctly different from the distant and disinterested models we typically see on the runway. These photos made me realize how empowering that experience must have been for those women, to have the opportunity to model those exquisite garments and be admired for their beauty in a time period where society was still working toward acceptance of the idea of African American beauty. The first time I saw the complete exhibition was on a tour led by Camille that provided the media with an early opportunity to view the exhibit. She began the tour by speaking about Eunice Johnson, the woman behind the Ebony Fashion Fair. Camille described her as a “fashion civil rights activist.” That depiction struck me as a very powerful one. Camille detailed how disturbed Johnson was by the lack of African American models in fashion, and therefore endeavored to convince designers to use African American models for their designs. She also worked tirelessly to acquire outfits from designers that would highlight and complement the skin tones of the models, emphasizing their natural beauty. Through both the Ebony Fashion Fair and her contributions to Johnson Publishing Company’s Ebony magazine, Johnson worked to create a prevalence and acceptance of African Americans in both fashion and overall society. The Ebony Fashion Fair was not something I was familiar with prior to my time at the museum, and I’m very grateful that I’ve had the opportunity to learn about this culturally iconic part of history. I have walked through the Inspiring Beauty exhibit many times since it opened, and I always find something new to admire. The items in the show are so much more than just outfits: they represent a movement to seek equality through fashion. Over centuries, art has become a medium to express the need to make a difference. These garments uniquely capture the essence of the first fashion show dedicated to changing stigmas and stereotypes throughout society. The clothes in this exhibit are beautiful, and being someone who has always admired fashion, I have a million reasons to be excited about such an exhibit. Still, the part that stands out the most to me is what is behind each piece of clothing—the desire to break down barriers and facilitate the idea that black is beautiful, and that women of all colors should be celebrated. This entry was posted in Behind the Scenes and tagged african american, inspiring beauty, intern, marketing. Bookmark the permalink.